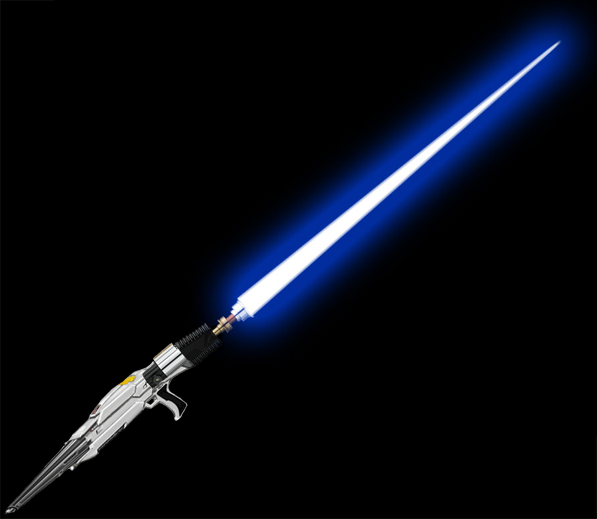 I present the lighsaber-rifle. Half lightsaber, half phaser rifle, is it sacrilegious? Or the best arsenal ever?